Two recent events prompt today’s post. First, in the last few weeks, I have come across a significant number of agency websites that have yet to add a security certificate. Website security is especially important if you have any forms that collect personal information — like a “request a quote” form. The second event was an article I read describing how Google will be strengthening Chrome’s security with the next release. I realize that many agencies continue to use Internet Explorer, but the world — by an extensive margin — uses Chrome. 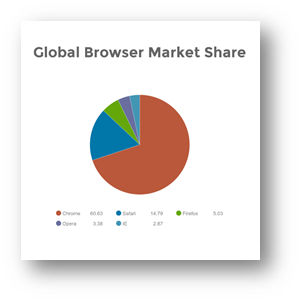 The graphic below provides an indication of browser market share globally. Most people coming to your website are using the Google Chrome browser. This next release will also “not trust” older Symantec security certificates (pre-June 2016). Access to the website will not be blocked. However, it will pop up warnings that will be annoying and might discourage your prospects from entering your site. In previous TechTips, I have gone into detail on the importance of properly securing your website and also how to buy and install a security certificate. It’s easy to tell if your website is secure. Navigate to your website, look in the search bar at the top for “HTTPS.” The S means that the site has a certain purity certificate applied. If you see “HTTP” in your agency website address, your site is vulnerable. This change is not something new. Google has been warning for several years that it is taking steps to provide stronger security in its Chrome browser. For most of you, I suspect this is not an issue because you’ve already taken the steps necessary to secure your website. However, as I indicated above, I am still finding agency websites that are not secure. 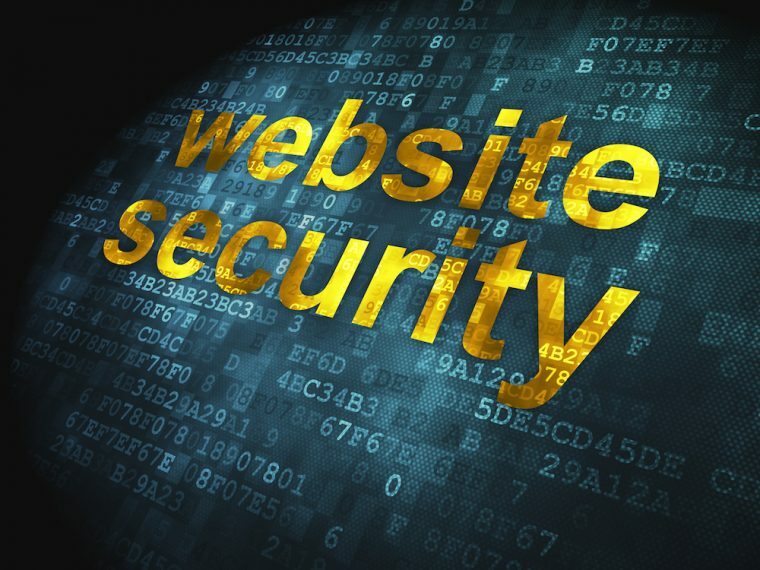 You must take steps quickly to secure your agency website properly. PS: As I finish writing this, there are news reports that Google has suffered a security breach exposing the personal information of users of its social platform Google+. Google has announced it is completely shutting down the Google+ platform. It shouldn’t be a great loss, as very few people are actively using that platform.